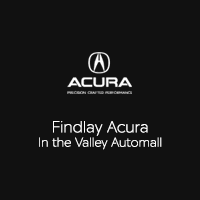 The new Acura lineup includes a variety of luxury sedans and SUVs with sporty performance and an abundance of luxury features, and you can find a number of special near car deals and car lease specials going on right now near Mesquite at Findlay Acura in Henderson. Explore all the low car lease rates, financing rates, and down payments, as well as special offers and incentives, and then apply for financing online. Find out how much you can save on our luxury car specials near Mesquite by estimating your monthly payments with our online payment calculator. Save even more by trading in your car to get some help with your down payment. Stop in and check out our new vehicle specials in person during our sales hours, Monday through Saturday from 8:00 a.m. to 9:00 p.m. in Henderson, and don’t hesitate to reach out to us at (702) 982-4100.